This week, I thought I would write a little bit about some of my favourite quotes and how they have moved, informed or inspired me. Inside my head lives a little man. He is a wimp and a coward. However, it seems he has no intention of going away, so I have to listen to his whining and decide what to do about it. This little man is a purveyor of doubt. All his sentences begin with 'But what if ...' The personification of negativity and fear. Some time ago I learned how to deal with this little man quite effectively. The way I deal with him is to imagine him more vividly. I don't just register the thoughts that he brings to my internal debate. I deliberately give him a voice. I give him a whiny, nasal, monotonous voice. I also give him a face. His face is weasel-like, miserable and prematurely aged. 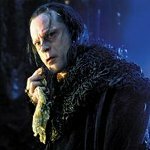 Think of Grima Wormtongue advising King Theoden in The Two Towers. His body is slumped and he shuffles his feet when he walks. Do you like the sound of this little man? 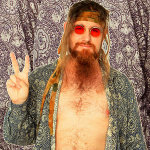 Would you go to a man like that for advice? Me neither. He now gets short shrift from me. This is Shakespeare's traitor. Identified, a traitor has no power. Inside my head there lives a big man. 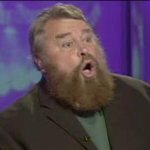 He is a bit like Brian Blessed. With a booming voice he bellows encouragement. His posture, body language and facial expressions radiate joie de vivre. With deep resonant tones he reminds me that I must take risks to win, that I must always love without fear, that it doesn't really matter what other people might think of me, what really matters is what I think of me. When I have done something to be proud of, he slaps me on the back so hard it knocks the breath out of me. When I think of something funny, he belly laughs along with me. This man is my captain, my brother and my comrade. A source of inspiration and courage. Do you like the sound of this big man? Would you go to a man like that for advice? Me too. We all have a choice about how we react to life as it unfolds around us. That is how two people facing the same event can emerge with completely different reactions. That is why when faced with apparent disaster, one person will panic or despair, while another keeps cool and finds a positive solution. To give up that choice is psychological suicide. Happiness is a choice. Which man shall I listen to most often? Which man will I accept as my advisor? When I look at it like that, it is obvious.